Angela Merkel's CDU party has been given a battering at the polls courtesy of the AfD and Green parties. Opinion polls predicted losses for Merkel's party as Germans become increasingly unhappy at the invasion of their country by illegal immigrants and refugees from all over the Middle East, Africa and beyond. The predictions proved to be accurate as Alternativ für Deutschland made serious inroads in Friday's regional elections. 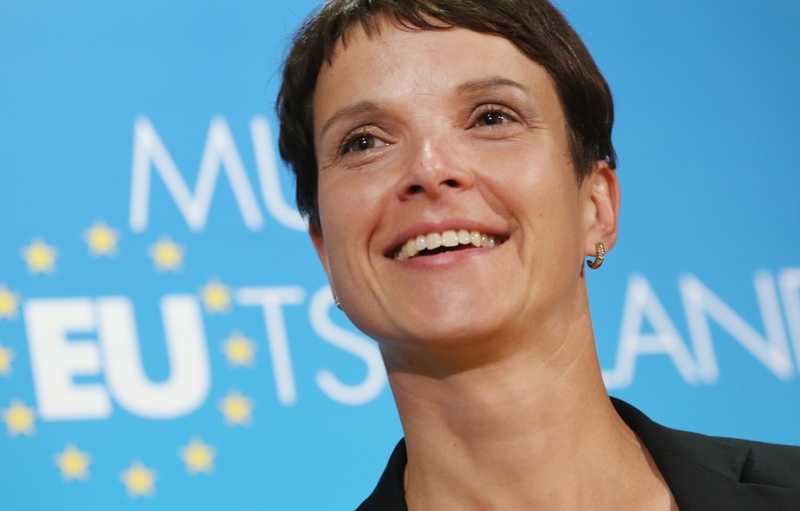 AfD's two remaining MEPs (five have left the party) are currently members of David Cameron's pro-EU European Conservatives & Reformists group in the EU Parliament but are being expelled after party leader, Frauke Petry, told a newspaper in January that German border guards need to stop letting illegal immigrants into the country, using armed force as a last resort. Merkel has been trying to associate AfD with the Nazis in their desperation to prevent them from gaining power but it has done little to convince voters who have abandoned Merkel's CDU for AfD and the Greens. If these elections are reflective of voting in the general election next year then Merkel's days are numbered.